A Mouse at Bedtime? Will she put your child to sleep? EASTBOURNE, England - Jan. 10, 2016 - PRLog -- Mousey Mousey has witch trouble. Specifically, Agatha, who doesn't approve of Mousey Mousey's favourite colour. Troubles come all the time for Mousey Mousey, which helps to entertain children all over the world. The jury is out on how effective she is at putting children to sleep - the request for one more chapter is too frequent. So maybe we should consider her better at developing a love of books and reading in children. 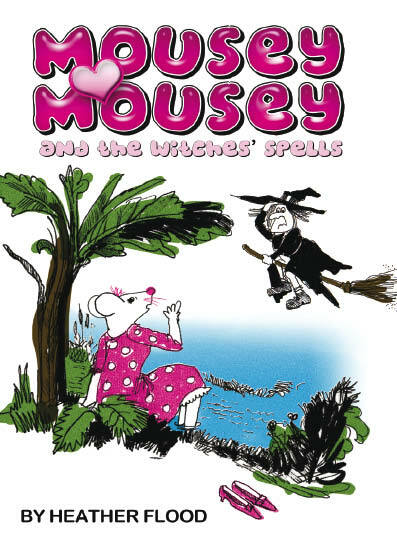 The Mousey Mousey stories are set in a land of talking animals, with witches and giants, and represent a wonderful way of encouraging children, especially those with a love of animals, to read more. There are two books so far in the series, wtih the first introductory book now with an extra story to make it more fun for the children. In addition there is another book of short stories in a similar vein. The Psychy Poet Does It Again!